The Lighthouse Lanes SBS Series is a northeast Small Block Supermodified touring club showcasing the stars and cars of Oswego Speedway’s Pathfinder Bank SBS division. Welcome to our official website! OSWEGO, NY (February 1, 2018) – The Lighthouse Lanes SBS touring series will open up the northeast racing season for Oswego Speedway’s signature Small Block Supermodifieds when the division returns to the Evans Mills Speedway for a spring event set for Saturday, May 12. Added as an additional date for the Small Blocks at Evans Mills this season, the May event joins the return of the Fall Brawl, which will once again be contested on a Sunday afternoon in 2018. That daytime event is set for Sunday, September 16 with a start time to be determined, while the spring show provides an opportunity to go Saturday night racing. The time schedule for the May 12 event at Evans Mills has already been set, with gates opening at 4pm, practice at 4:30pm and racing scheduled to get underway at 6pm. The track’s weekly Mills Modified, Legends, Bandolero, Thunder Stock, 4 Cylinder Truck and Sport Compact classes will join the Small Block Supermodifieds on the race card. Unlike the 2nd annual ‘Fall Brawl,’ the spring race will not be extra distance, as the Small Blocks will go 30-laps for $600 to win with the full purse rundown to be determined. Several of Oswego’s Small Block Super regulars have expressed interest in touring with the Lighthouse Lanes SBS Series in 2018 including Dave Cliff, Jack Patrick, Dalton Doyle, Chris Proud, Tim Proud, Greg O’Connor, Barry Kingsley, Cameron Rowe, Jesse Bearup, Mike Bruce, James Babcock, Rob Pullen, Cameron Black, and more. Newcomer Josh Sokolic will also join the tour for all of its 2018 events. Many more additions to the field are expected. 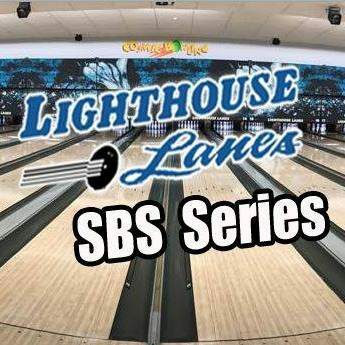 For more information on the Lighthouse Lanes SBS Series, you can visit online at LighthouseLanesSBSSeries. You can also FOLLOW on Twitter @LHLSBSupers or LIKE on Facebook at Facebook.com/LighthouseLanesSBS. To learn more about Evans Mills Speedway, visit the track’s website at EvansMillsSpeedway.com. About the Lighthouse Lanes SBS Series: The Lighthouse Lanes SBS Series, the country’s only Small Block Supermodified touring series, was formed in March 2017 by drivers Mike Bruce and Camden Proud in association with the Evans Mills and Spencer Speedways. Set to be a five race venture in 2018, the series is made possible from the support of Lighthouse Lanes, Route 37 Building Supply, Cam’s NY Pizzeria, as well as the dedicated team owners, drivers, and fans of Small Block Supermodified racing.